I worked most closely with Giles Sparkes (sale valuation) and Billy Brooks (sale negotiator) regarding the sale of our flat near Canary Wharf. Both are very nice persons and experts in their job. Billy managed to find a good client to make an attractive (= high) offer to buy our flat after a short time of viewing. In short Foxtons managed to sell our old home in order for us to buy and move into a bigger house in 4.5 months, which is a very short period of time in the current market condition in 2018 (i.e. before UK leaves the EU in March 2019). Our experience showed Foxtons at their very best. Giles, Billy and other members in Canary Wharf took many people to view our flat, e.g. there were 10 views in the first week versus 5 views in 2 months with another smaller estate agent we used prior to Foxtons. When it came to the final few weeks before completion and it was very tense because we needed to keep our buyer and made sure that person was happy, Giles helped Billy to work with all solicitors (my buyer, my vendor, and ours) and all estate agents in the chain to get things done quickly, i.e. they almost did the job of the other estate agent in the chain. Once in a while, I also talked with the manager (Mr. Thomas Holmes) of Giles and Billy, and it appeared that the whole team was very aware of our flat and its current situation. This is the main difference between Foxtons and our previously used estate agents who usually did not have the capital and human resource to rigorously and intensively get the job done quickly. There were ups and several downs along the way, because there were in total 3 buyers who expressed interest, put down (and some withdrew) offer, but Foxtons (especially ones at Canary Wharf Office) is worth every penny of their fee. The worst experience I have ever had in dealing with estate agents. Both of these guys were the utter epitome of slimy estate agents who do not care about you and quite literally just want to take your money. From booking the first viewing - I called on a Saturday and spoke to David Morgan who agreed to do a viewing on Monday (there was no mention of having to ask the current tenants to confirm from him, he just just out-rightly said it was booked) - I did not recieve a confirmation email all the way up until the Monday 10am - (the viewing was booked for 11am) - so ended up calling the the branch again who had NO record of me even calling to book! Eventually one of the staff members traced the call back to David’s number (this staff member also said this is quite usual of David’s behaviour). I eventually saw the property and my sister too and we both agreed to make an offer. Suddenly, David messaged me to say the flat is only available THREE WEEKS after we already agreed to move/the date he told us and blamed it on the current tenants. I said we would have to think about it but he ended up being very pushy with his words in forcing me to extend my current tenancy as “It would be a great price to get this one in The Sphere so hopefully you can accommodate those couple of weeks?” (I have the text messages). I didn’t hear back from my current agent immediately with regards to extending and David was even saying he would get in touch with them himself! So unpleasantly forceful! As if it ends there. Me and my sister decided to make an offer and David asked us to come back to the office where his colleague would be to put down the offer etc as he stated he couldn’t(?). Waiting at the office suddenly his colleague “was out at a viewing” and “couldn’t get in touch with him”. So we decided to leave and agreed I would get a phone call in the morning the next day to confirm the offer. The next morning I revive a text message form David to say he was “suddenly off sick...and at the GP” and that someone else had put an offer in so we would have to make our “best offer”. I cannot believe this...It was promised that this colleague “Ketan” would be calling me at 9am - obviously I didn’t get a call and had to call the branch around 11/12? Maybe even later to be called back. When Ketan eventually called me back he asked me how I could be helped? Surely he knew that we were trying to make an offer since yesterday and that he was supposed to call me at 9am!? No apology at all and in actual fact he was rude and obnoxious and pushed me to increase my offer and length of contact without a break clause saying the landlord would “take the best offer”. Before the phone call ended I asked when he would get back to me on whether the landlord would accept or not, he said by the end the of the day - this was Friday 6th July, it’s now Thursday 26th.... and nothing. I did not call to enquire because quite frankly we had had enough, luckily we have found a beautiful place to live now but stuck with an extra two weeks rent to pay at my current place due to the awful cut-throat behaviour of these two staff members of Foxtons - mainly David Morgan. Our whole experience with this agency has been absolutely disgusting and I will genuinely shout to the hills and back to everyone NOT to use them. Just exchanged on a flat with Winkworth and found Nicola to be really helpful and responsive throughout the process. Many thanks to you and the team. The rental department is absolutely unprofessional and utter rubbish. The agent and I have arranged a day to view different flats in the morning. I have someone to look after my child because the agent told me he can't drive around to show me flats with a child in it as his insurance is not covered. So the agent didn't turn up at the end without notifying me in advance and his colleague told me the viewings booked are not on the diary so they can't take me to view the properties because they have are 'short of staff' and 'busy'. I ended up wasted my time and money travelling and childcare because of this very rubbish and useless agent. Very unorganised, unprofessional and irresponsible. Cannot imagine what kind of service I would receive if I rent through them. I would recommend people avoiding it unless you want to wast your energy and time. Rent through some other agencies I'm sure you'll get much better service. One of the worst lettings agency. Property management is as bad as you can ever imagined - Unprofessional, lying. I rented a property from them and they haven't even cleaned the flat when I am moving-in. Inventory check hasn't happened. Flooring is plastered to cover the rot and boiler is broken. Had been chasing up the property management to fix the issues and they never respond. Heavily frustrating and fed up with their non-service. Never recommend this lettings agency to any one. From the initial valuation to the sale we were kept informed throughout the whole process. Professional and courteous .I would recommend them to anyone thinking of buying or selling. MONEY GRABBING B@STARDS Having decided to look for a 1 bedroom flat to rent near Crystal Palace I found a decent sized property about 20 minutes walk away through Kinleigh Folkard and Hayward for £850 per month. Not overly expensive I thought. I arranged a viewing with Alex on the Saturday. She seemed helpful (don't they all) and we agreed on a viewing at 11:30am on the Saturday. The Saturday arrived and I didn't want to be late as my journey was an hour and half to get to the viewing. Just as I was arriving at just after 11am at the front door I got a call saying sorry but the viewing has been postponed. No prior notice was given and I was pretty annoyed at the time wasted. I was called back again with a further apology saying that if I would go for a second viewing I would get some discount off of the agency fees. I saw the property for the second viewing and liked it and got the ball moving. NO DISCOUNT WAS OFFERED and I had to part with £656.15 with was for £210 tenant fees and £120 for referencing and the rest towards the initial deposit which still left me with a balance of £2194 before the move in date which wasn't a problem. The contract was for 15 months which I thought was odd and did query this but was told its either 15, 18 or 24 month contract. Upon my final visit just to hand in some more papers and fill out yet more forms I was told that mid contract the landlord now wanted to implement a rent rise but also there was no figure as to how much of an increase. I told them no way and if the landlord wanted to increase the rent he would have to do it after the contract has finished. Ridiculous!!!! Due to my mum's ill health and social services not being able to go ahead with a care package for my mum which had already been agreed with them I was forced to unfortunately pull out of the flat so I can carry on caring for her. KFH still had over a months notice from the date the flat was available to find tenants for this and have so far refused to pay back any of this money. I have been very reasonable with them and said yes they can keep the agency fees and the referencing (£330) and just return the rest (£326.15) which would have gone to the landlord. Instead, they are keeping the lot for their own profit and are showing no signs of wanting to play fair. They are going to find other tenants within the month and charge them another set of tenant fees and referencing so no doubt be quids in. I am in the process of seeking legal representation on this as I was hoping for at least a bit of compassion and understanding. I haven't cost them any money and in fact know that they will make more now. In the meantime. I would recommend to anybody to avoid these people as they seem to be up there with the worst of them. Very professional and honest advice from Mathew. Found him well experienced and very supportive, would recommend Aston Fox. Their fee for renting are excruciating! High, unreasonable, cannot wait until the new legislation make it illegal. How clever of you to write your own, fake,5 star reviews! People are not as dimwitted as you would want them to be! 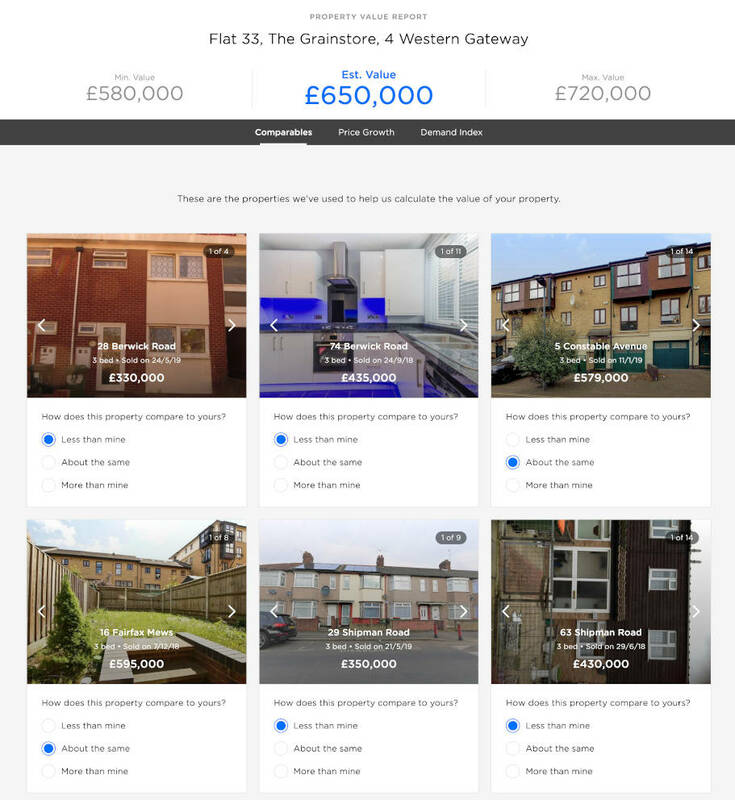 We’ve helped 6530 people find the best agent in South East London! Our clever technology recommends the best agents in South East London.